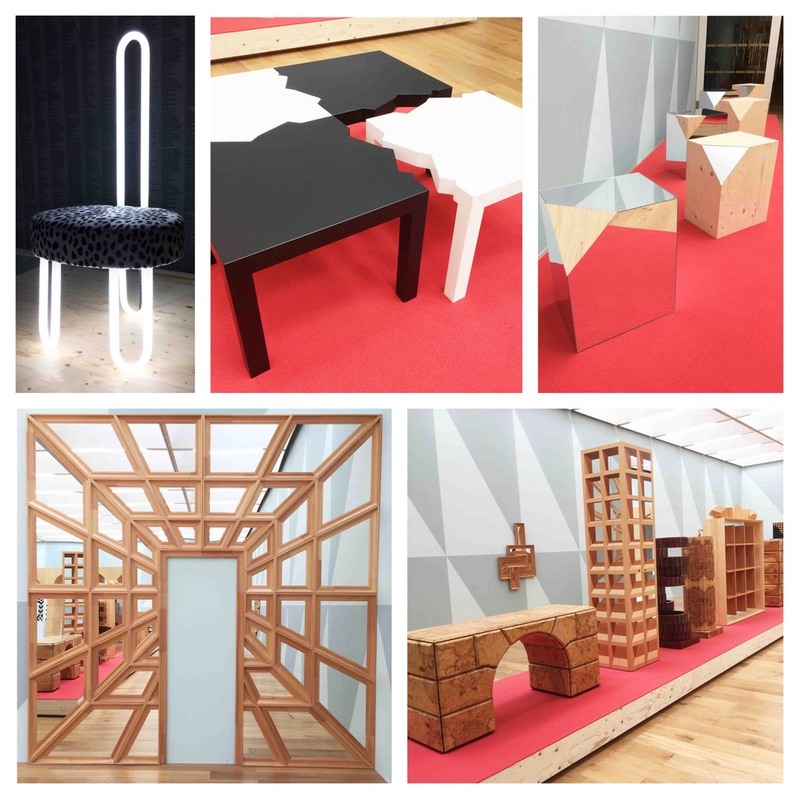 At the same time as this exhibition Pia Camil also had a small installation (until 7th October 2018) with some�interesting statement pieces. 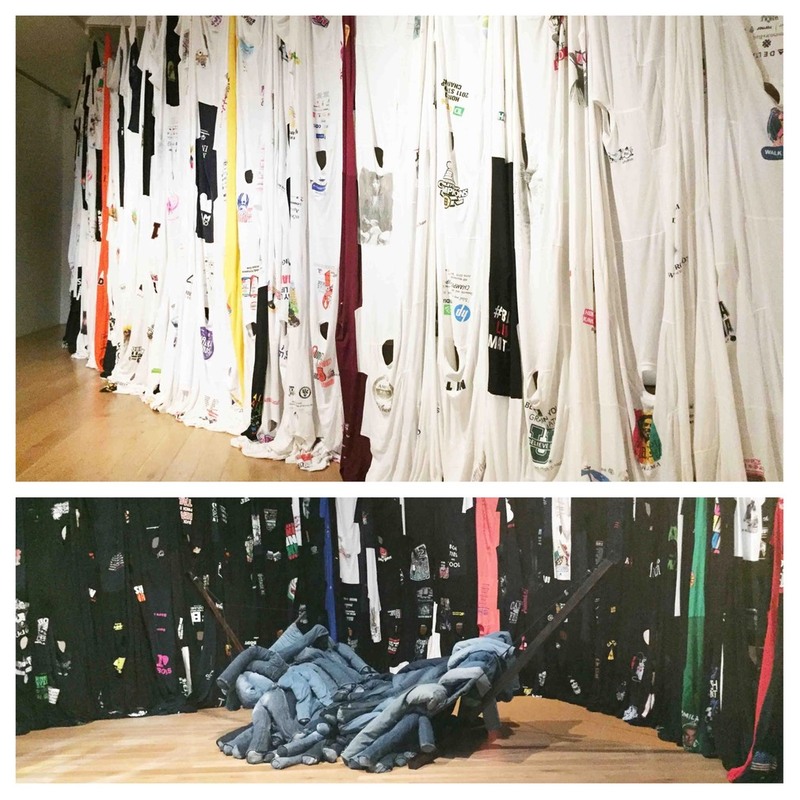 Although more of a contemporary art�exhibition the work included some interesting pieces that also relate to D&T, particularly the massive curtain made of t.shirts and the hammock made out of jeans, both of�which�would be great�inspiration for students. 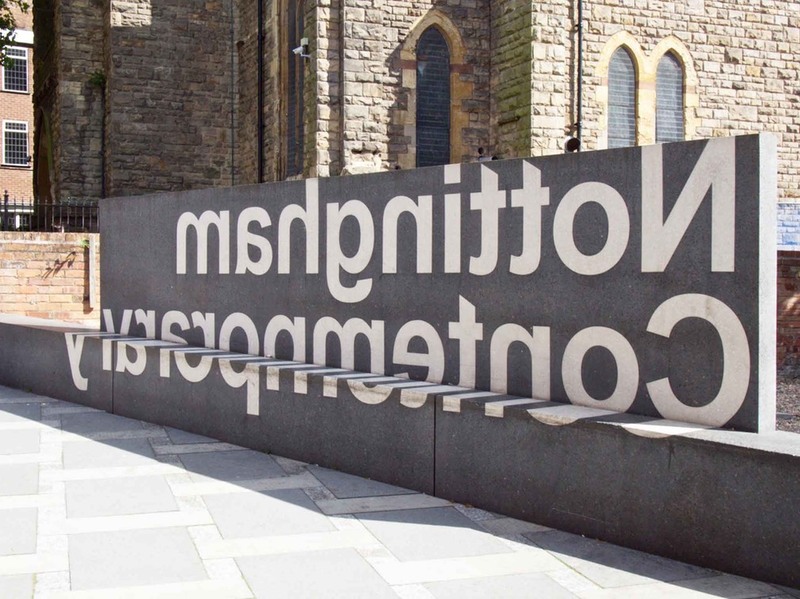 The building itself is just as interesting as the exhibitions inside. 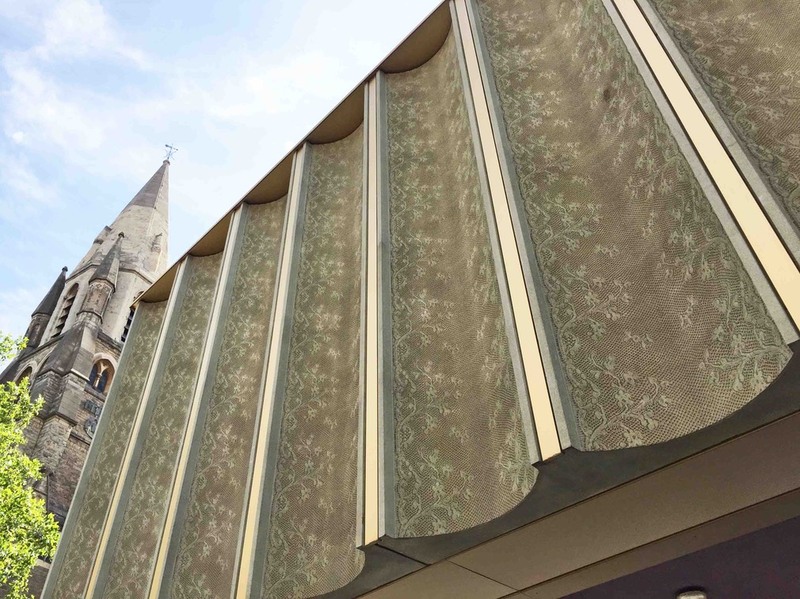 Nottingham is famous for its lace history and when the contemporary was designed by Caruso St John Architects based in London, the concrete fa�ade was designed to incorporate an antique lace design taken from a piece of Richard Birkin machine made lace from 1847. 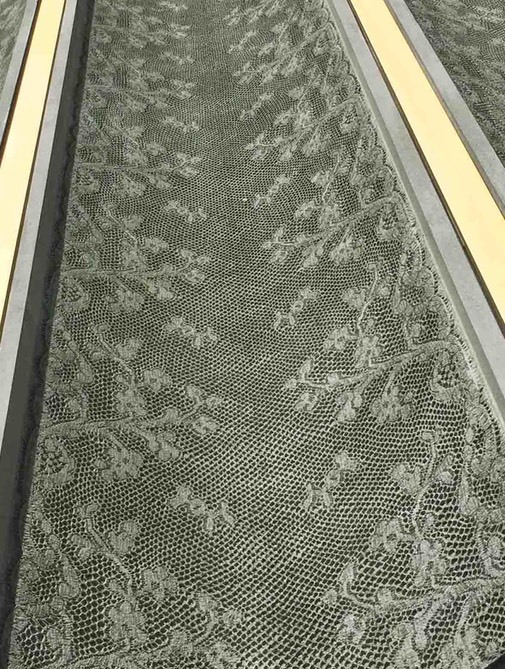 Lacemaker Louise West recreated the antique lace to enable the design to be cast in concrete to create 7 metre panels that are all around the building with brass coloured trims to cover the joins in the panels. 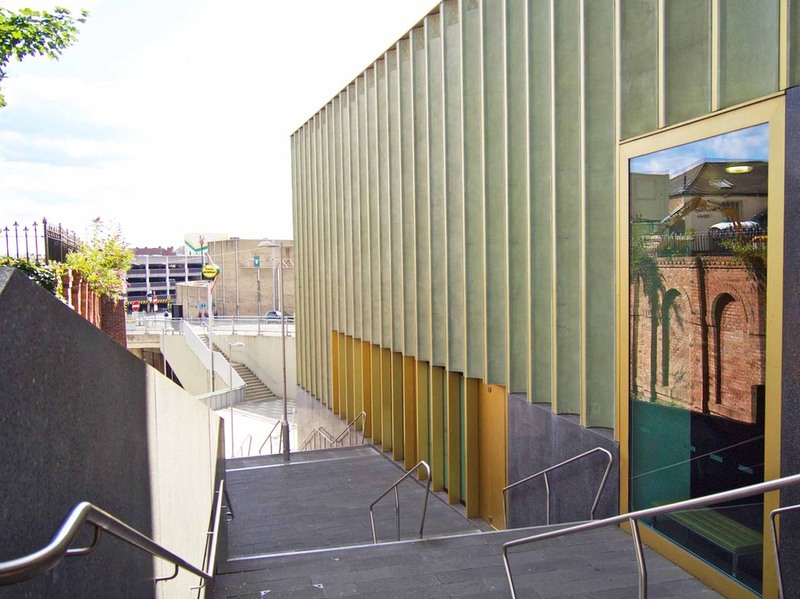 A great celebration of the history of the town in a contemporary style building that reflects the work on show inside.